I was given this clock from my grandparents estate. There is a very worn paper taped to the back identifying it as a Waterbury Clock. Not sure of age, style or value. Works great with chimes every 15mins. 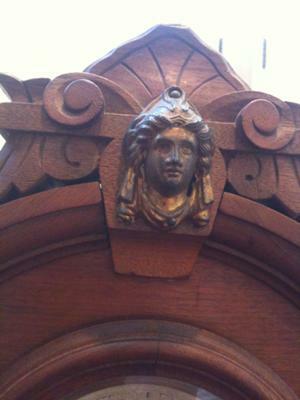 I also sent a picture of the top of the clock of a ladies head, I think? 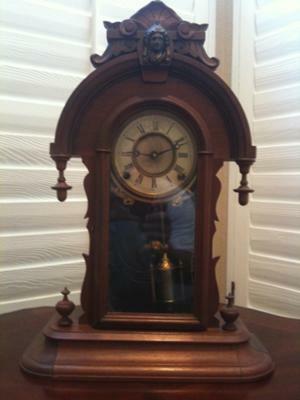 I have looked at hundreds of pictures of Waterbury Clocks's but have not been able to find a picture. Any information would be of great help.